Q. How many books can I take out at once? Students, staff, and faculty may have up to 100 books checked out of the Berkeley College Libraries at any given time. New books can be taken out only 2 at a time. 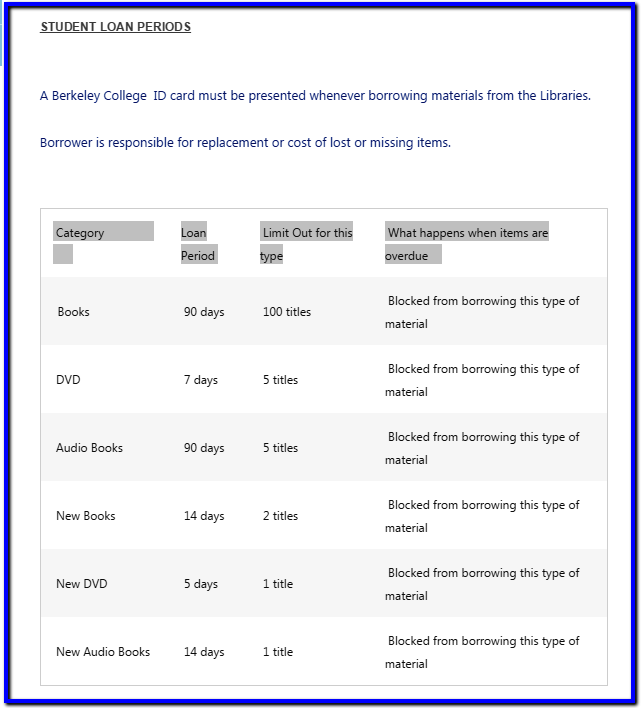 Campus based students, please register for a library card at the campus library. Once registered, a barcode is placed on the back of the student ID and serves as a library card. Click here to see your library’s hours. Online Students and Faculty may register for Library services by completing the Student Registration Form or Faculty Registration Form.